I was in the bookstore this weekend, browsing like I always do, hoping that somewhere in the depths of those shelves something will come out that changes something fundamental in me. It’s happened before, that is the glory of the bookstore. I was in the self-help side of the bookstore, because let’s be frank, I need to be there, when I came across an interesting book. I forget the title but essentially it was a journal of sorts encouraging the reader to write down their deepest fears, loves, hopes and dreams so one could study the truth about oneself. Interesting premise, and if I had an extra fourteen dollars I might have picked it up. I know myself well enough to know it would have been a book I picked up every once in a while but it might have been interesting to see who and what I was through the years. What an interesting legacy to leave someone. And I couldn’t help but wonder if a simple question such as “What would you do if you won the lottery?” or “What movie quote struck you deeply?” could possibly add insight to who and what I am. I mean let’s face it, like most people I am a complex creature that hopefully evolves but probably just changes. 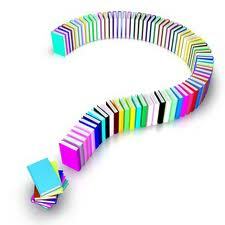 There are truths I know about myself no matter how many questions I answer in a book. For instance, most people find me annoying. I know this to be true, and there doesn’t seem to be anything I can do about it. My bosses tend to hate my annoying little habit of turning things in early because I don’t have the ability to proofread (for instance) or because I simply plow through my job like it is a chore. It’s true; once I have written or done something I am literally done with it. I can’t make my brain go back and reread or understand what I have just done because honestly, my brain is moving too fast and it has bi-passed that assignment. But how do you explain to your boss that your brain has bi-passed? In my disease I have annoying traits and they only come out occasionally, which can throw any one off. I am talkative when I am high, but dead silent when I am low. I can hug someone when I am high, I can’t touch another human being when I am low. I can fumble my words and be incredibly misunderstood when I am high, where I can be articulate when I choose to speak when I am low. I have a temper when I am high, I have no energy for it when I am low. Now, imagine yourself sitting on the sidelines of my life, not participating in every play, but rather there for the goals, the jump shots, the home runs? You don’t know who you are going to meet, and the vast, vast majority of them don’t know why there is multiple people to meet. How incredibly confused and put off would you feel if you didn’t know how your neighbor was going to be today? If she was going to come over and speak to you, or if she was simply going to silently wave from her spot not even gifting you with a smile when you’ve done nothing wrong? I truly wish that I could buy two copies of that book in the bookstore. Because I would like to know who and what I am during my highs and during my lows. Because I am two different people, and therefore, have two different answers to every one of those questions. The truth is I don’t know if every one is two different people; those that love in the light or those that love only at night. The truth is I don’t know what is going on in your mind, or even your body; I don’t even know what is going on in my child’s mind and body and I made him. The truth is I think those books are great exercises for those who wish to think more about themselves. Unfortunately, the truth is for me, the answers to those questions change daily.